THESE TWO WORDS WERE A LEGACY FROM FATHER TO SON. Always know, jazz legend Thelonius Monk taught his son, what the people who work for you are doing. Always know what your competition is up to. Always find out what other people know. * THELONIUS SPHERE MONK (1917–1982) was an American jazz pianist and composer known for his highly-improvisational style. 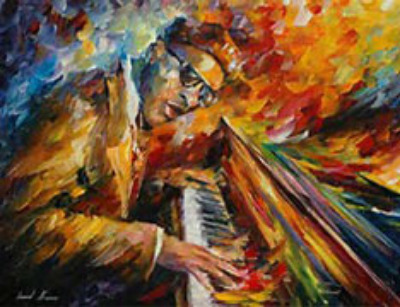 Monk became the second-most recorded jazz composer after Duke Ellington. Monk's rich inventiveness was both vital and strategic since it was common at the time for other musicians to steal musical ideas without giving credit. To counter this practice, Monk worked out music that was so unique and difficult to play that it was hard to steal. It was a business strategy that eventualy helped him become famous around the world. In 1962, Monk finally became big-time. After years of working with small recording labels, Monk signed with Columbia Records. His album, Monk's Dream, became the best-selling LP of his lifetime, and he appeared on the cover of Time magazine.